Tom Loncar, Director of TLEC and senior executive coach, is your partner in navigating through and thriving in complexity. Bringing more than two decades’ of leadership experience across a range of organisational and creative performance settings to his coaching, Tom helps individuals and organisations thrive and realise their potential. Provide support and challenge – key elements in gaining forward momentum to your goals. Tom Loncar MBA is an experienced coach and mentor with more than 20 years’ experience across the corporate sector, the public sector and SME. 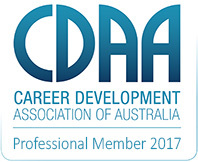 He is a member of the International Coach Federation (PCC), a Professional Member of the Career Development Association of Australia and certified/accredited by The Leadership Circle, the Institute of Executive Coaching and Leadership. He is also a Contributing Writer for the Australian Financial Review, Australia’s leading business and finance newspaper (listing of recent articles by Tom here) where he expands on his ideas in leadership development and workplace emotional intelligence. Tom’s writing has also appeared in BOSS Magazine, Switched On Leadership, Governance Directions and Research News. What can an experienced coach do for you? This is what HBR had to say. Find out more about how Tom Loncar Executive Coaching can help you.